A journey to the other side. Yeah, I’m beginning to understand. So during an extended stay in Chicago, including 10 CCM World Invite games, two butcher league contests, one varsity assignment and three of my all-time favorites — the low-level JV game – I decided to watch an entire Bantam match from the stands. And since the game was at Lake Forest Academy, I knew I was in for some serious spectator suffering. You North Suburban people know what I mean. No heat, freezing bleachers and a mile’s worth of white fishing net above the glass guaranteeing that no matter where you sit, you’re completely isolated from the game which is akin to watching an aquarium of hyperactive flounders at the local Bass Pro Shop. 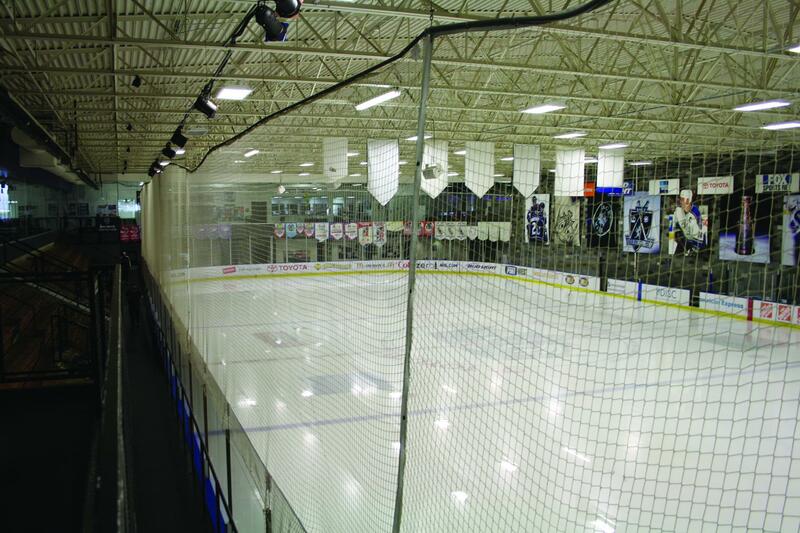 Look, just about every state, including Illinois, has a statute insulating ice rinks from liability for flying pucks. Thus, it’s outrageous to deny fans the opportunity to watch little Madison from above the top of the glass in an unobstructed manner. That alone would have precluded me from signing my kid up for travel hockey had she shown any interest. I mean, at least soccer, basketball, football and softball allows parents to view the sport through clear, suburban air, almost making oneself an extension of the game. And trust me, foul balls and deflected soccer passes are substantially more dangerous than an errant puck lobbed above the center-ice glass, but whatever. Now, the problem is that these forced obstructions internally agitate parents by denying them the chance to really see what is happening on the ice. With the exception of erroneous offside calls confirmed by those spectators conveniently situated directly above the respective blue line, no one can reasonably tell what transpires on most plays. That, coupled with a total frozen discomfort at venues like Lake Forest Academy, along with an often hour-long drive for the visiting squad, and you have an emotional mess in the making. Of course, it’s not just parents’ sightlines that are obstructed. Look, I’m not going to evaluate the zebras at the game, but had I been inclined to submit my observations for the customary $20 fee, I could only have proffered my opinions regarding overall game management, along with a few completely objective calls. Example: Stop blowing the whistle AFTER the players are already lined up for the faceoff. As OS has repeated nearly monthly, the whistle is blown at the conclusion of the line change procedure, thereby advising the players that a legal faceoff will occur within five seconds. (See USA Hockey Rule 613). And harping on the line change procedure, an official should not allow a time out after the whistle has been blown to indicate that the line change procedure has concluded. (See USA Hockey Rule 636(f)). But freezing parents don’t get those rules. Through scratched glass, white netting and moisture-clouded glasses, all they see is the erroneous roughing call assessed for leading a check with both forehands in classic low-level JV style, the stick lift which was clearly a missed hooking call and the slashing against the goalie which from 150 feet away is a no-brainer, even though the puck was actually loose, but again, details rarely matter. Still, frozen fingers necessitating gloved hands can’t be all bad.